Teachers and moms around the country have been struggling for years to find the balance between fashion and what is appropriate for the classroom. I have seen my fair share of silly bands, colored hair and short shorts. Tweens especially are looking for new ways to express their individuality and impress their friends. While we as teachers and parents might not always embrace every fashion trend here is one you can definitely get behind. If you have growing children you are constantly dealing with ripped jeans, they wear their trendy slightly torn jeans two or three times and before you know it those $40 jeans you just bought have a huge hole in the knee. In many schools across the country these are now in violation of dress code and your child is now begging for more jeans....don't throw them away just yet. 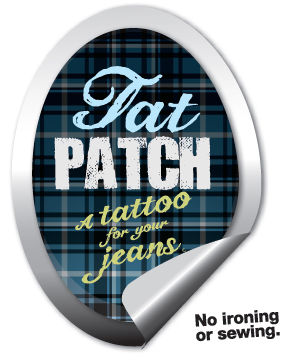 The trendy Tat Patch is a comfy, stylish fabric "tattoo" inside your favorite distressed jeans. They're easy to apply...stick one on your jeans, throw them in the dryer, and enjoy your cool new look! 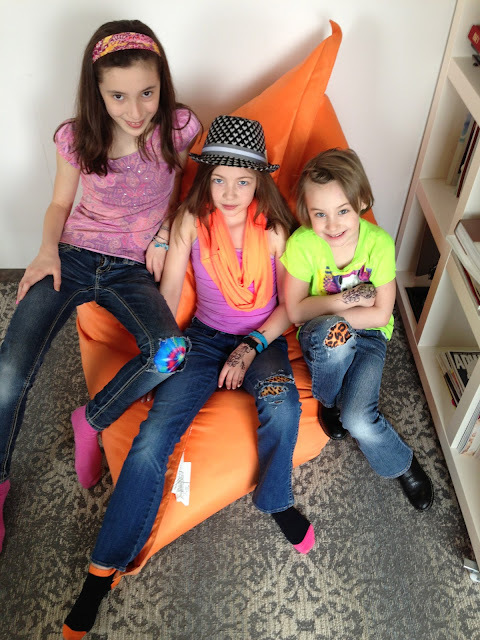 No sewing, no ironing, just easy stylish fun! When we saw these we just had to give them a try, as you know Amanda and I are busy moms, between the two of us we have a preschooler, 2 toddlers and a newborn. Keeping up with clothes some days feels like a full time job. A pair of my favorite jeans had become way to worn for this mama to sport. Holes and frays are fun and cute when you are young , but when you are picking up your little one at daycare with the other thirty somethings and you start showing a little too much skin, you need a solution. Tat Patch was just perfect, it came in a variety of different colors and patterns and is even launching a new program where you can customize your own design....I'm seeing lots of monogrammed girly patches in my daughters future. When I opened my package I couldn't believe how soft the fabric was, the design I chose was blue lace, it was subtle yet trendy. I applied just as the directions said it was super fast and easy. I have been sporting my Tat Patch for the past few weeks, it is super comfortable, durable and stylish. I can't wait to order a few more and try them out on my daughters clothes, They are still a little too big for my two year old but I can see him sporting some of their stylish designs as he gets a little older. 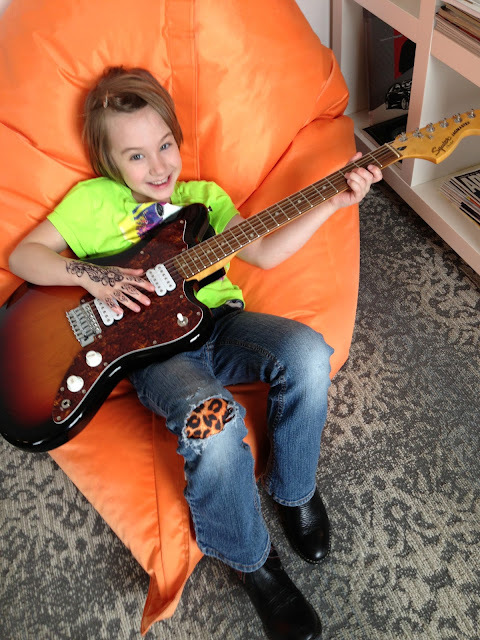 Enter to Win a Tat Patch of your own.